Can you save the city from a deadly monster attack? 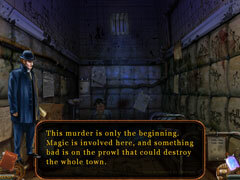 Help James Voodoo in his investigation on a brain-twisting mystery, which involves saving a city from a deadly monster attack! 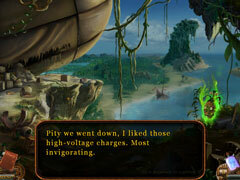 Travel with him to the forsaken hamlet of Ravenhill to the richest city in the world, Richtown. Travel by ship and even by a huge military airship. Find out the secret of the lost tribe, solve the puzzle of the mysterious stranger who is following you everywhere, and find out the story of a charming beauty named Kitty. The world full of adventure and magic is waiting for you in the ultimate Hidden Object Puzzle Adventure - Voodoo Chronicles: First Sign.